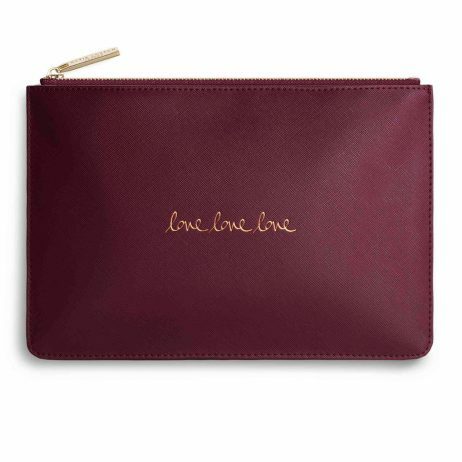 Katie Loxton Love Love Love Handwritten Perfect Pouch. 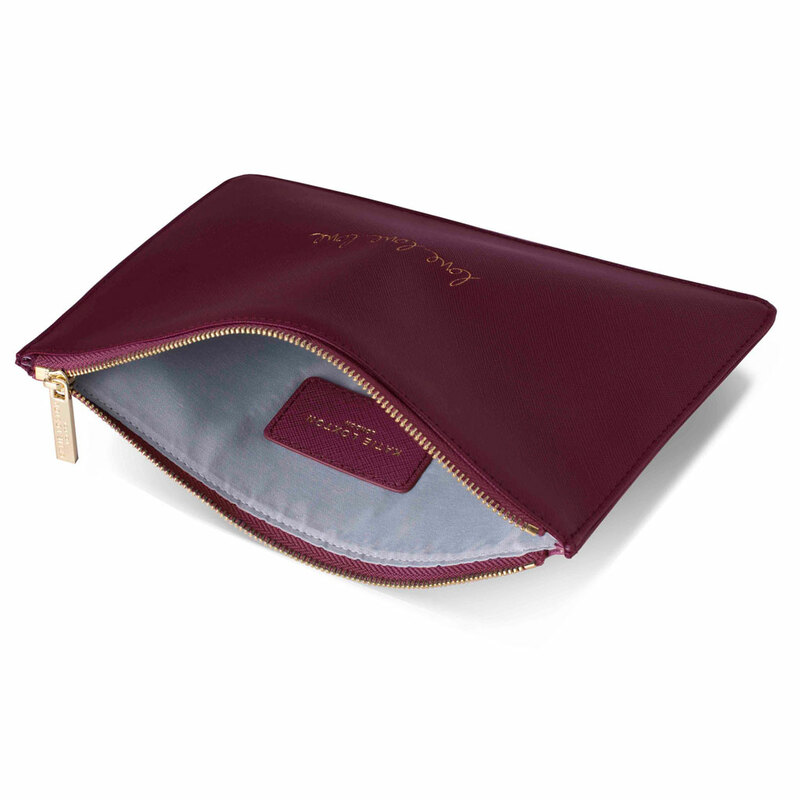 The perfect pouch from Katie Loxon is back with a fabulous handwritten make-over. This brand new look features beautiful gold script sentiment text, to include this beautiful berry coloured clutch, with the words ‘Love Love Love’ and finished with a gold branded zip and grey lining. The perfect clutch for autumn and winter. 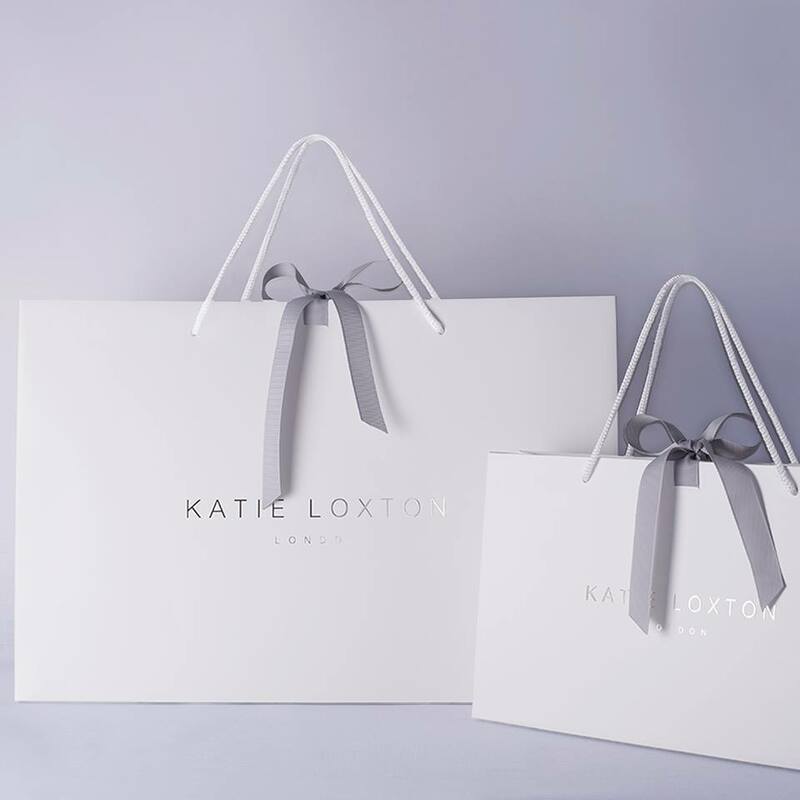 Katie Loxton handwritten clutch pouches are wrapped in tissue paper and placed inside an official white Katie Loxton gift bag with ribbon tie. Perfectly sized clutch for your phone, purse and little bits. Really nice quality and the writing makes it look extra special. Fantastic price, looks more expensive. Bought to go with my shoes for a special event coming up. Katie Loxton, Katie Loxton Handbags and Travel Bags, Katie Loxton Perfect Pouches, Valentine's Day Gifts, Accessories - Scarves Bags and Watches, Bags. 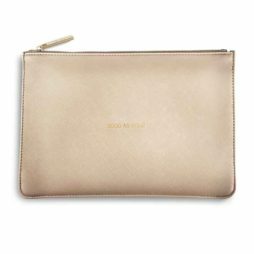 Katie Loxton Metallic Gold Good As Gold Perfect Pouch. 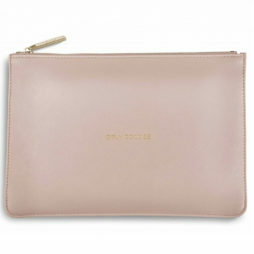 Adorable glistening metallic gold pouch, perfect for using as a clutch bag as well as a make-up bag. 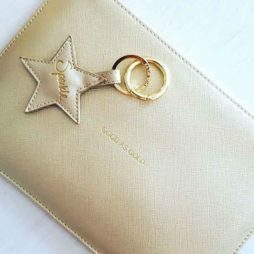 From shimmering days to sparkly nights this beautiful pouch is sure to be a seasonal staple you just can’t live without. 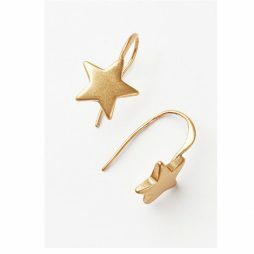 This wonderful pair of Hultquist Jewellery Constellation Gold Plated Star Hook Earrings from this seasons Collection will give a classic and feminine update to your wardrobe.